I’ve recently been moving some of our project from a single Redis server (or server with a replica) to the more modern Redis Cluster configuration. However, when trying to set up PHP sessions to use the cluster, I found there wasn’t a lot of documentation or examples. 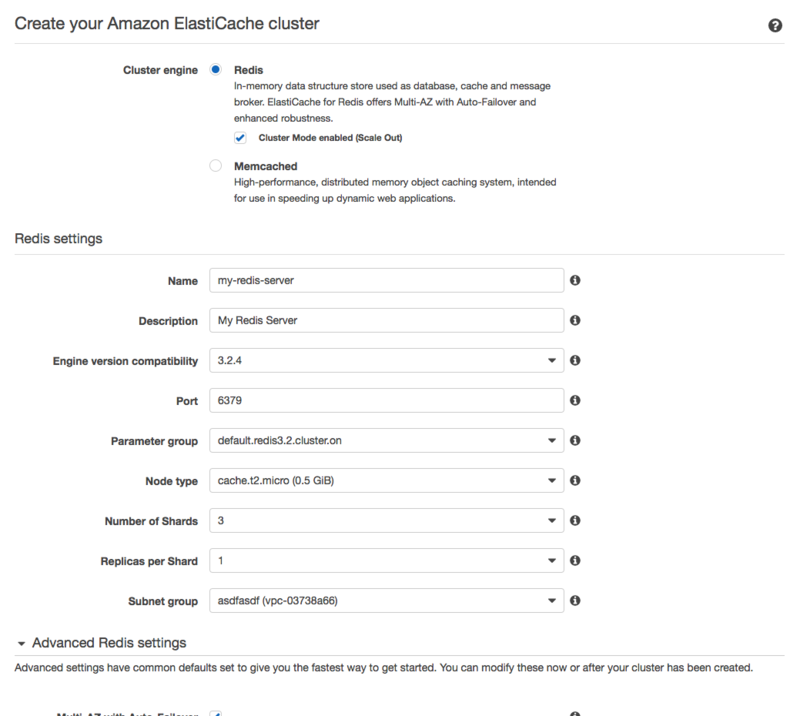 This serves as a walk-through for setting up PHP sessions to use a redis Cluster, specifically with Elasticache on AWS. First, create your Elasticache Redis Instance like so. Note the “Cluster Mode Enabled” is what causes redis to operate in Cluster mode. Note the special syntax for the save_path where is has seed=. You only need to put the main cluster configuration endpoint here. Not all of the individual instances as other examples online appear to use. That’s it. Restart your webserver and sessions should now get saved to your Redis cluster. Thank you. Is there a way to use the read replicas for read requests? Appreciate the how-to, however, it was not as straight forward as I would have preferred. A reason could be changes on AWS as well. Instead of creating the 30-redis-sessions.ini in the folder (bad practise), load it via the autoload. Also, the seed command did not work for me. I had to change it to tcp.